Broadbean makes it easy to post jobs to hundreds of job boards in the US, Europe, Asia, and Australia directly within Bullhorn. 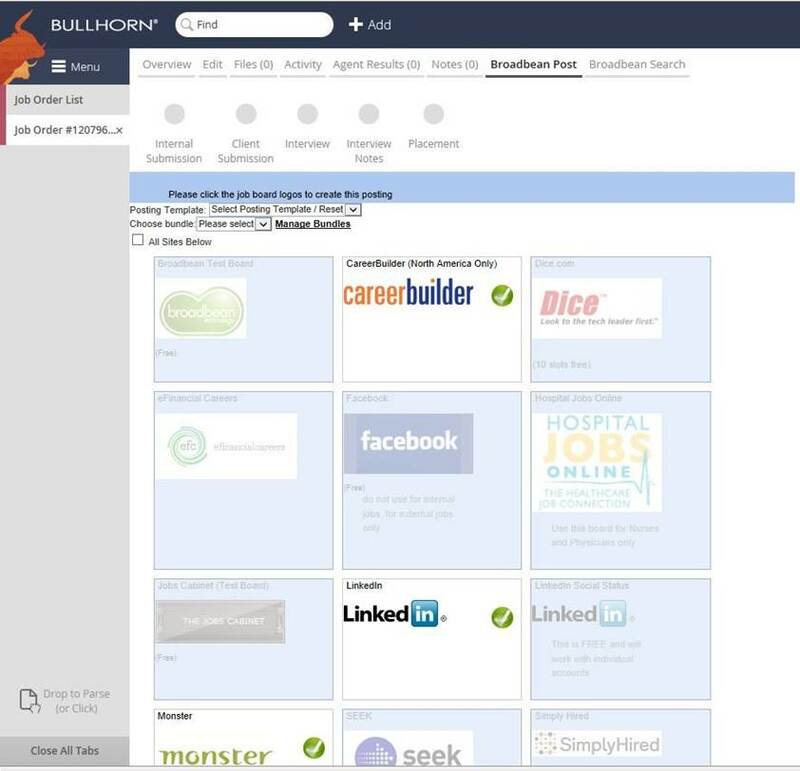 When a candidate applies via your Broadbean posting, you can see and track that candidate right within Bullhorn. 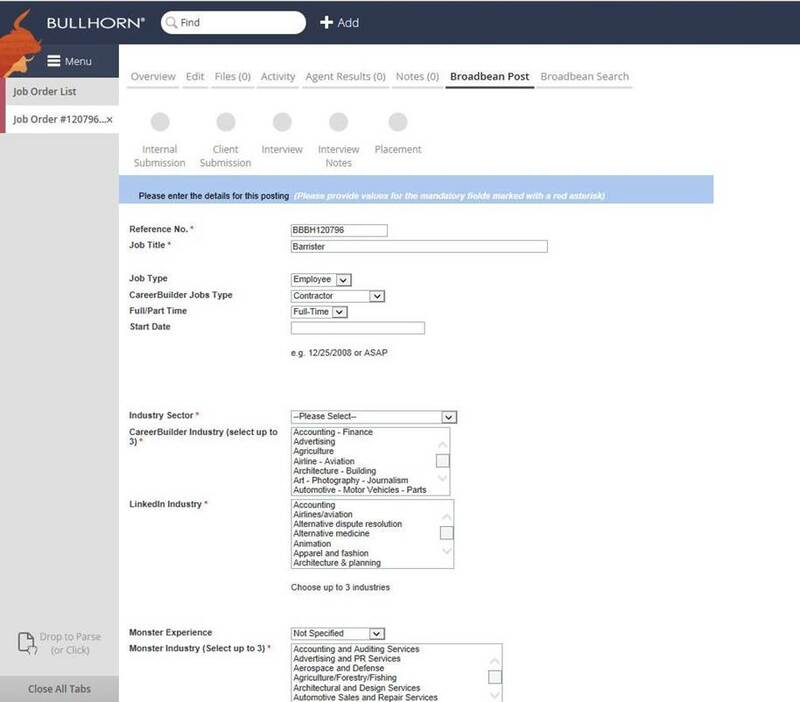 Broadbean Post’s system distributes online job postings and tracks responses to those postings inside of Bullhorn. Recruiting professionals and staffing experts can efficiently manage candidates better than ever right from within Bullhorn. Take advantage of posting and managing job advertisements, intelligent forms, HTML editor, auto-appending, multi-lingual spell check, email notifications, candidate management, expert technical support (including training) and performance management. Broadbean combines highly effective job posting technology with renowned customer service. Job and candidates are easily tracked, making it easy to analyze your job board performance. This functionality assists recruiters in understanding the return on time and dollars invested in job boards. When you can measure performance, usage is optimized.